Located in the Municipality of Lane Cove, less than 15km north of the Sydney CBD, Batten Reserve and Stringy Bark creek covers an area in the Lane Cove North precinct. 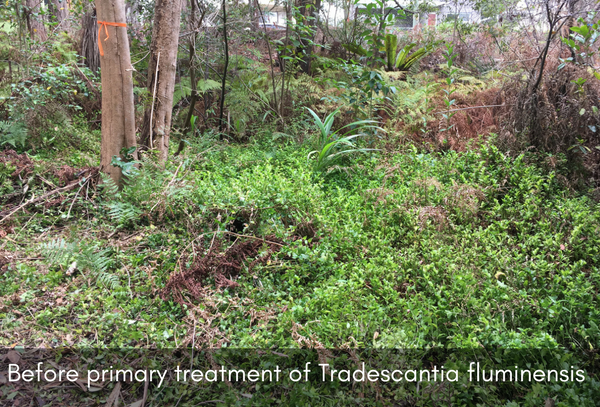 The area incorporates some beautiful examples of bushland meeting the urban sprawl and includes sections of bushland which encompass the Great Northern Walk. Batten Reserve and Stringybark Creek Reserves form a well-studied wildlife corridor and contain a unique combination of flora and fauna, home to critically endangered Sydney Turpentine-Ironbark Forest (located in Zone 3), Littoral Rainforest (EEC) (located in Zones, 1, 2, and 3), and Coastal Enriched Sandstone Sheltered Forest and is quite a significant pocket of bushland. 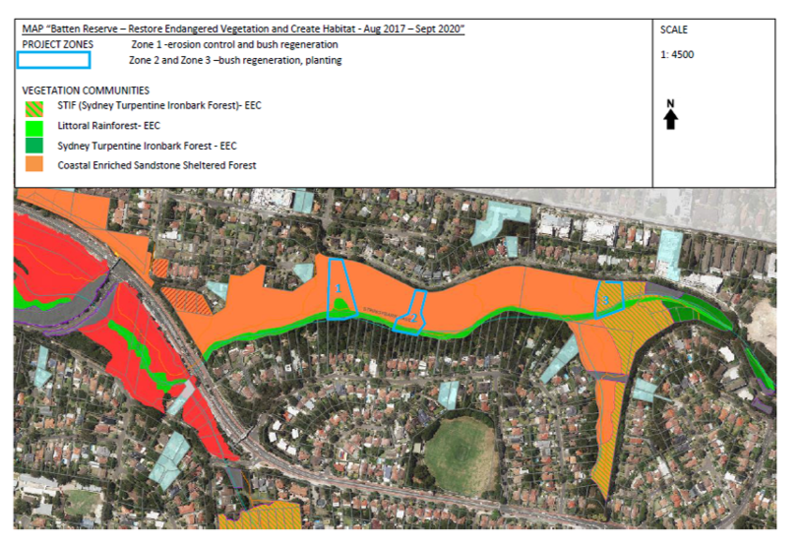 Figure 1 Batten Reserve bush regeneration works zones and vegetation communities map, provided by Lane Cove Council. 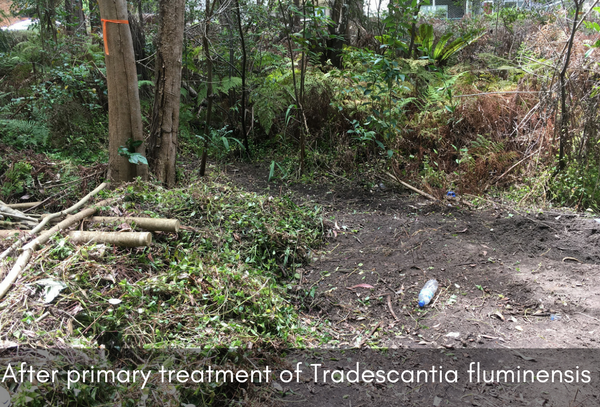 Works have focused on controlling the Tradescantia fluminensis, (Trad) infestations along the main drainage line by raking the Trad into piles and employing a solarisation technique. 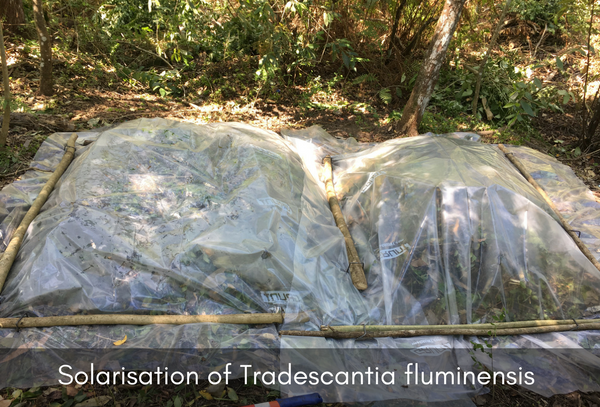 This involves watering the piles and installing a layer of clear plastic over the top, mimicking a greenhouse, but on steroids! This causes the Trad to heat up, die and compost. This technique is being employed in stages to ensure we don’t destabilise the bank. 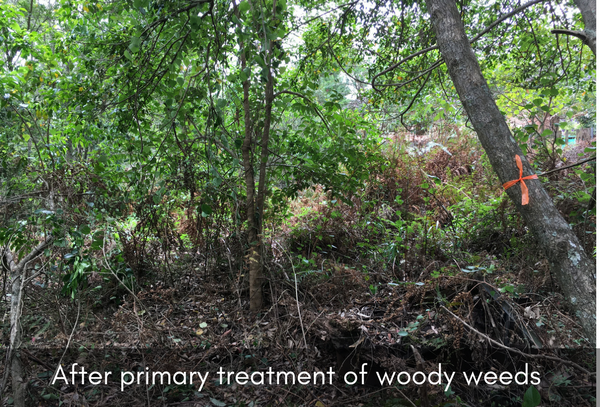 Extensive primary treatment on woody weeds has also been carried on Ochna serrulata, Senna pendula and Ligustrum lucidem and L. sinense. 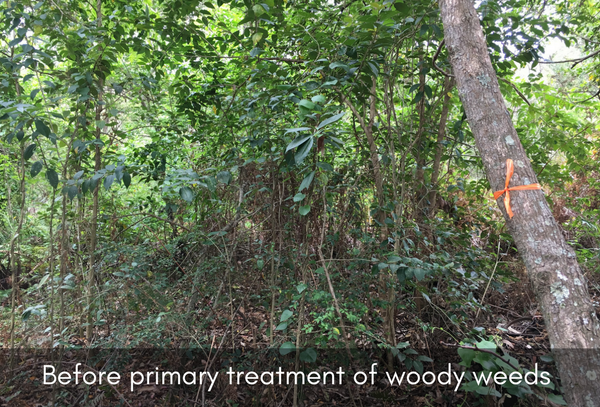 All works have commenced from the highest point in the landscape adjacent to healthy and diverse sections of the bushland to ensure we are working with gravity on our side and so recruitment occurs. and plenty of small reptiles including the Copper Tail Skink.